ww2dbaseWhen France surrendered to Germany on 22 Jun 1940, those who resented Germany occupation and the Vichy government formed cells that collectively were named the French Resistance. Some groups were violent in nature, aiming to hurt or kill the German occupiers; these were called maquis. Other groups used non-violent means, publishing underground newspapers and broadcasted anti-German and anti-Vichy radio programs. Many of these groups were born after the 18 Jun 1940 address by Charles de Gaulle who encouraged the French people to continue the fight against the German forces even if the nation surrendered. To take advantage of these groups, the British Special Operations Executive (SOE) began infiltrating into France beginning in May 1941 to aid the resistance groups. Because de Gaulle often disagreed with his British allies, he formed his own agency to independently aid French resistance efforts without coordinating with British efforts. In the beginning, the resistance groups were scattered and lacked cooperation. On 22 Jun 1941, all communist groups in France merged into a larger group, showing the rest of the resistance groups the effectiveness of more coordinated resistance actions. On 11 Nov 1942, German forces marched to Vichy-held southern France, and the resistance sentiment spread into that region as well, especially after the Vichy government adopted some German-influenced anti-Semitic policies. ww2dbaseThe initial German response was that of annoyance, and it soon turned into great frustration. "During the summer of 1941 the civilian population's resistance to our occupation forces intensified perceptibly in every theater of war, with sabotage incidents and attacks on Germany security troops and installations", German Field Marshal Wilhelm Keitel recalled the reports that came to his desk during the war. "[A]cts of sabotage became horrifying frequent in France and even in Belgium." The counter the resistance movement, German forces employed a policy to rule by iron fist, including later retribution operations against innocent civilians. The SS also tortured many suspected resistance group members, with them ending up either dead or in a concentration camp. Rarely, entire villages would be razed as deterrence to future acts of sabotage; such was the fate of the village of Oradour-sur-Glane. Adolf Hitler insisted that such draconian measures were necessary to deter the would-be "terrorists", otherwise the situation in France would become out of control. Despite the risks, many fighters continued to wield British-supplied weapons to fight. ww2dbaseIn 1943, when the prospect of a cross-Channel invasion on France became closer to reality, the United States also began aiding the French Resistance. The Office of Strategic Services (OSS) began sending its own agents into France in cooperation with the SOE to rally French support against German occupation. ww2dbaseOn 27 May 1943, after months of work, Jean Moulin persuaded several resistance groups to merge into the Conseil National de la Resistance (CNR), with Moulin becoming the first chairman of the alliance. On 21 Jun, however, Moulin was captured by the German Gestapo and was tortured to death. Henri Giraud and Charles de Gaulle became joint presidents of the CNR after the death of Moulin, but by Oct that year, the politically-minded de Gaulle maneuvered Giraud out of the position of power and became the sole leader of CNR. Although de Gaulle was difficult to work with for the Allied commanders, with him in London, it was possible for the Allied command to pass orders for the resistance fighters to attack key communications and transportation targets to aid the planned Operation Overlord. 93 small teams of three agents (one American, one British, and one French) were then sent into France to closely coordinate actions immediately before the invasion. The resistance fighters continued to aid Allied invasion efforts after the forces had made footing on continental Europe, in northern France aiding the troops marching toward Paris, and in southern France during Operation Dragoon. Groups in Paris, supported by the Paris policemen, began their fiercest resistance on 19 Aug 1944, attacking German forces with rifles and grenades while rounding up collaborators for execution. The fighting climaxed on 22 Aug. 1,500 resistance fighters and civilians lost their lives before Paris was liberated on 25 Aug. Three days later, de Gaulle called for the disbanding of all resistance groups and encouraged them to join the new French Army under his direct control. 21 Aug 1941 A German naval cadet became the first victim of French Resistance, shot in a Metro station in Paris, France. Over 150 Parisians were shot in reprisal. 24 Aug 1941 Vichy France passed anti-terrorist laws, punishable with death sentences, to deal with the resistance movement. 15 Sep 1941 German soldiers were attacked by resistance fighters in Paris, France. 1 Jan 1942 Jean Moulin, the former mayor of Chartes, parachuted into France in an effort to coordinate and unify resistance groups. 15 Apr 1942 German headquarters at Arras, France was attacked by members of the French Resistance. 31 Jan 1943 The Milice was created in Vichy France under Joseph Darnand to counter the Resistance. This organization became another force of the German occupation, reaching a strength of over 20,000 by the Allied invasion in 1944. 27 May 1943 The first unified meeting of French resistance groups took place, chaired by Jean Moulin; it recognized de Gaulle as the leader of the movement. Moulin would be betrayed to the Gestapo a month later, dying en route to a concentration camp. 29 May 1943 Berthe Albrecht was captured by German agents in Mâcon, France. 31 May 1943 Berthe Albrecht was executed by hanging at the Fresnes Prison in Fresnes, France. 3 Jun 1943 French Resistance saboteurs destroyed 300 tons of tires in the Michelin factory at Clermont-Ferrant. 19 Dec 1943 French Résistants engaged in heavy fighting with Germans in Bernex, France. 19 Jan 1944 Resistance fighters blew up the Usines Ratier airscrew works, in southwetern France, wrecking it so thoroughly that it never resumed production in wartime. The charges with 30-minute fuses, laid while German guards patrolled the yards outside, detonated with such force that one 30-ton press was sent 25ft into the air. 1 May 1944 British Squadron Leader Maurice Southgate, whose task it was to coordinate the various Marquis groups between the Loire River and the Pyrenees mountains, was arrested by the Gestapo in Paris, France. 10 May 1944 The French Resistance claimed a membership of over 100,000 and requested more military aid from the Allies. 28 Jun 1944 French resistance fighters killed Minister of Information and local Milice leader Phillipe Henriot. Milice leader in Lyon, Paul Touvier, was ordered to conduct reprisal killings. 30 Jun 1944 Milice leader in French city of Lyon, Paul Touvier, selected 7 Jewish prisoners to be executed by firing squad as reprisal for the killing of Minister of Information and local Milice leader Phillipe Henriot two days earlier by the French resistance. 19 Jul 1944 From Britain, US 8th Air Force dispatched 5 B-17 bombers to drop propaganda leaflets in France and Belgium while 5 B-24 bombers paradropped supplies to French resistance fighters. 20 Jul 1944 6 US B-17 bombers were launched after sundown to drop propaganda leaflets over France while 12 B-24 bombers dropped supplies to resistance fighters. 16 Aug 1944 French resistance fighters captured three German posts along the Swiss border. 20 Aug 1944 French resistance fighters liberated Toulouse, France. My sister was in the resistance in Marseilles . I do not know how to get any information about her , or who she was working with. Is there anyway to find any more information? contact the french authorities as there is still an assosciation of veterans that fought in the resistance by region.hope this helps. Steve. this is some rubbish info. Any information is help full. Thank you. Can you help? Can anyone advise on some official prices of foodstuffs during the German occupation. For some research I am doing I need to know the cost of a small loaf of bread. [not that there was any large loaves] I know there were three price levels, but only one was official. I would appreciate any help as people who were in the know are becoming fewer each year. Question, about escape lines. Due to the need of raw scrap metal, in the occupied Zone, Did allied invaders get transported from disused mine workers, with consignments of scrap mine salvage. As a means to cross check points, as a third man in the lorry, would be easy to bluff the guards. 3 go out, 3 come back. Regular as clockwork. If theres a metal shortage for the russian front by 1943. Disused mine workings also have many labourers who come and go, so hard to keep security tabs on allied invaders posing as casual workers. HI I AM WRITING AS I NEED TO KNOW ABOUT MY NAN SHE WAS FRENCH AND IN THE RESISTANCE WW2 THERE IS A PLAQUE DEDICATED TO THE RESISTANCE SOMEWHERE IN FRANCE BY THE SEA THAT IS ALL I KNOW I JUST WANTED TO KNOW WHERE IT IS PLEASE. I would like to get information on my uncle, Laurent Giaume who was nicknamed "Nano." He was a leader of the Maquis in Nice, France and there is a street named for him and his heroism. He passed away last year. My gardener Donald Cadge was shot down and hidden by the maquis for 5 months in 1944----in the forest at LYONS. A young man in the maquis --Robert Bolle--arranged for a dinner at his fathers house, His father owned a comb factory in the city. He would like very much to contact any descendents to thank them. Who knows the answer to this question? Phillips 66 made a sabotage oil that was air dropped behind enemy lines by the allies. The French Resistance would pour this oil into the motor, NOT the gas tank, and 30 minutes later the motor would quick working. What did the French Resistance call this "sabotage oil"? Lorraine their is a plaque of 17 people that were with the French Resistance in the Orleans train station my mom told me cause my grandfather is also listed on that plaque.. This Was Very Help Full Thanks :]!!!! Lorraine, At Barfleur on the tip of the Cherbourg *** ular at the end of the quay there is a plaque to the 'Resistant', I don't have a photo of it but I'm sure plenty of people will have. Would like to find out about the massacre of french resistance fighters in the forests of Fontainebleau. My grandfather saw the trucks driving through the forest with the resistance fighters that had been taken out of the city jail to be shot. Interesting how it misses out all the innocents they murdered without trial after the war, history really is written by the victors. Totally agreed, to quote Napoleon "History is the version of past events that people have decided to agree upon." Any chance of finding a date when this article was published? I have a small 22 cal covert gun, identified as "stinger". It appears to be of US manufacture and WW II vintage. It's an aluminum cylinder you can hide in the palm of your hand. The gun, six rounds, an extra barrel, and English/French instructions were hidden in a tube of grease. If anyone can provide some info or history on this weapon, I'd appreciate it. My grandparents were both active in the French Resistance. How much info is available on members that survived (both survived) and were later hailed as heroes? Paulette are you looking for Jeanine? My uncle was saved by the Resistance in February of 1944 when his bomber was shot down. I'm trying to gather as much info as possible and publish a book about his experience. Is there any way I would be able to find out who might have helped him? My father-in-law (whom passed away Oct 13 2016) join the French Resistance to escape forced work for the Germans either in ammunitions plants or building the Atlantic wall. 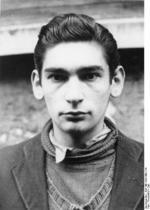 Most of his classmates were then tortured and killed by the Gestapo or disappeared in the concentration camps. He was proud of his service. I am doing a history project on the french resistance. I found this article fascinating and helping. My grandmother and her family originated from Europe and were slavics. I think they came to America when my grandma was a little girl. If the French didn't contribute to resisting, I probably wouldn't be here. I am looking for two resistance members, Mr and Ms Maillard of Dolleren, They helped my uncle, a US pilot shot down. I can't find Mr Maillard's grave in Dolleren. Can anyone help? French résistance has played only a very limited role on the conflict and did not played any single influence on the outcome of the conflict only delaying the inevitable result of the conflict. Retain was a true patriot while de Gaulle war desertor and a coward. The Vichy government was the only lawful one and run by only socialists and communists. 31 and 38 I have a question: what about the millions killed by the nazis? Really. Your comments make you sound like you supported them. The french resistance set back the nazi war movement by blowing up train rails thus stopping transportation of equipment and also running recon missions and assassinated some high ranking officials. Viva la resistance. My father was awarded the Crois de Guerre for this work with the resistance in 1944. His work with a unit in the northern region, based in Alencon, included setting fire to a German run factory that employed many people in the Alencon area. I am seeking more information about this. Please let me know if you can help. Thank you. I'm doing this for a report so thanks. It says that the last major update was May 2006. Hope that helped.